Or maybe it would work the other way round… perhaps the proof we are given would convince us that our ideas are completely wrong and we would then be compelled to change them! Proof is a very hard concept to explain, as any trip to the dictionary will highlight. Scientists prefer not to talk about ‘proof’ at all. They say it’s better to talk about evidence – and if the evidence really stacks up to support a claim, then we can be (reasonably) confident the claim is true. They say (be warned) you can never ever ever really ‘PROVE’ anything in science at all! With maths, it’s a different story and mathematicians consider that a ‘mathematical proof’ is a very fine thing indeed. But back to everyday life. What verges on proof (but is more correctly called evidence) seems most recognisable and acceptable when it is there in front of us – as something we can see or touch or hear – like a document, a photograph, a video or a sound recording – or even the appetizing smells coming from the kitchen that prove to you it’s fish and chips for dinner! But does all proof have to be like this? Proof is … Anything that can make a person believe that a fact or proposition is true or false. 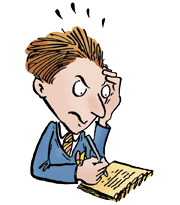 Proof is … The evidence or argument that compels the mind to accept an assertion as true. 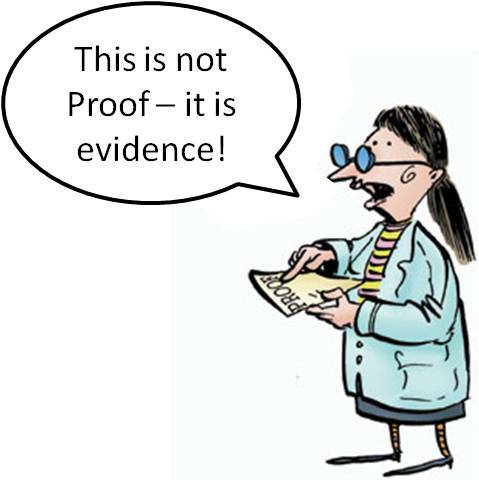 Proof is … The state of being convinced or persuaded by consideration of evidence. These definitions suggest that the concept of proof can stretch beyond the tangible (that important piece of paper or that fading photograph) and can include persuasive ideas and arguments. Some people hold a view called, ‘Scientism’ which says that scientific (or physical evidence) is the only kind of evidence that is reliable. If we can’t support an idea scientifically, they say, it’s not really supported at all. Many others see science as just one way to support ideas. What’s your view?